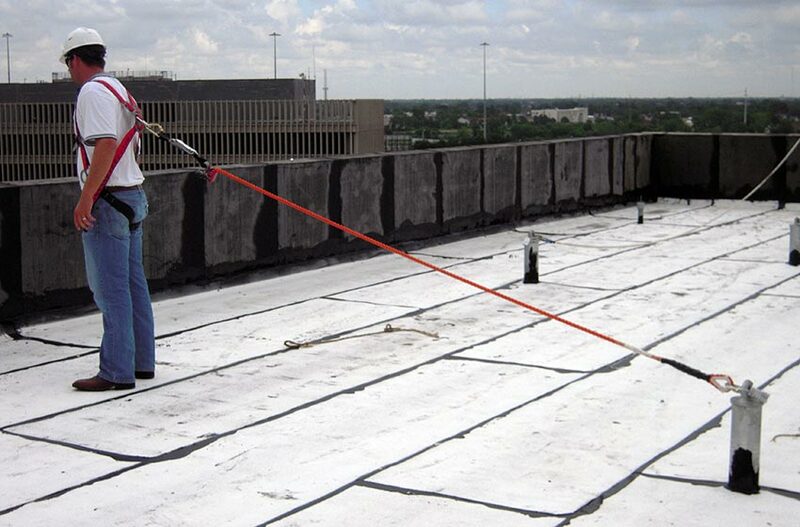 FLS rooftop tieback anchors are a safe, practical and permanent anchorage solution for window washing, building maintenance and facade maintenance. 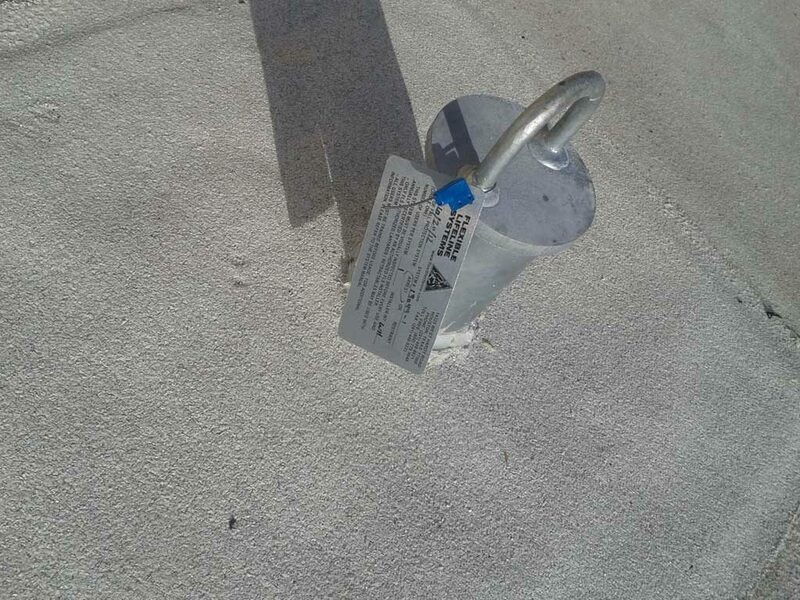 Cost effective and proven, roof tieback anchors are used for fall protection and a wide range of suspended access applications. 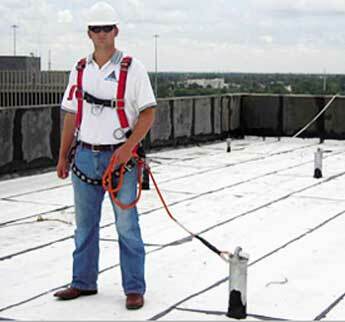 The roof anchor provides an ideal fall protection anchor for rope descent systems where specific use and height restrictions apply and where workers are operating suspended roof powered platforms and self powered platforms on permanently installed davits and temporary rigging equipment, or anywhere leading edge hazards exist. 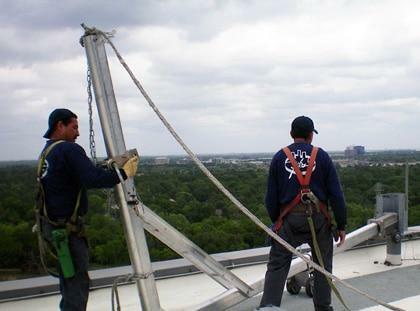 Lifeline anchorage for workers operating on self powered or roof powered platforms and stages. 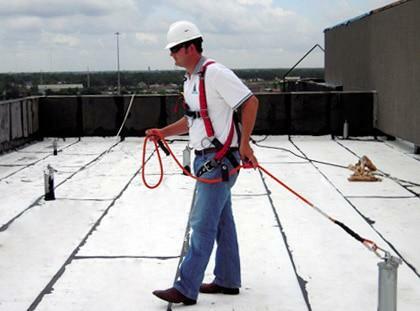 Independent fall protection anchors for window washing davit systems, building and facade maintenance systems. 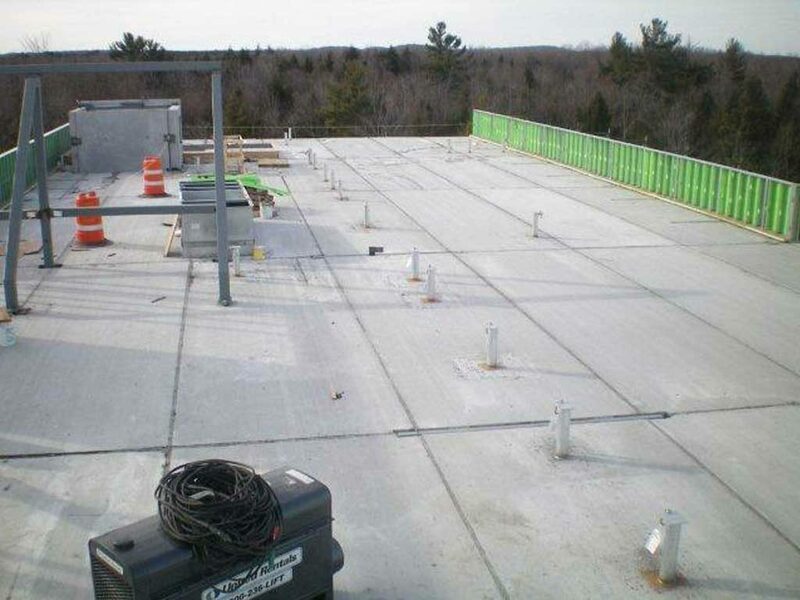 Cost Effective — FLS roof tieback anchors are an economical choice compared to many alternative solutions without sacrificing safety. 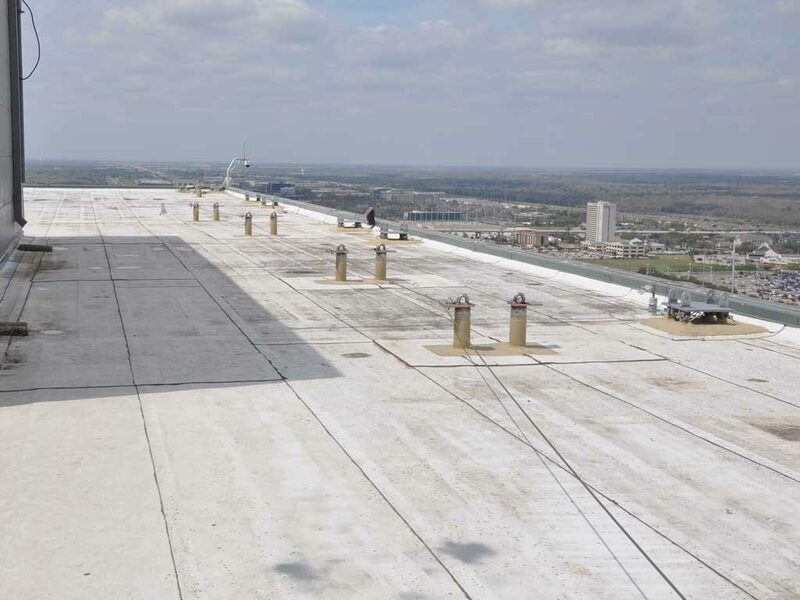 Supply Only — The most common designs are in stock and ready to ship. 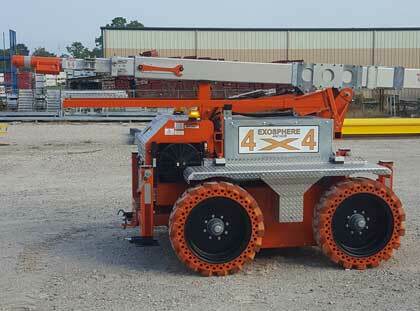 Rapid production and delivery is available on non-stock items. 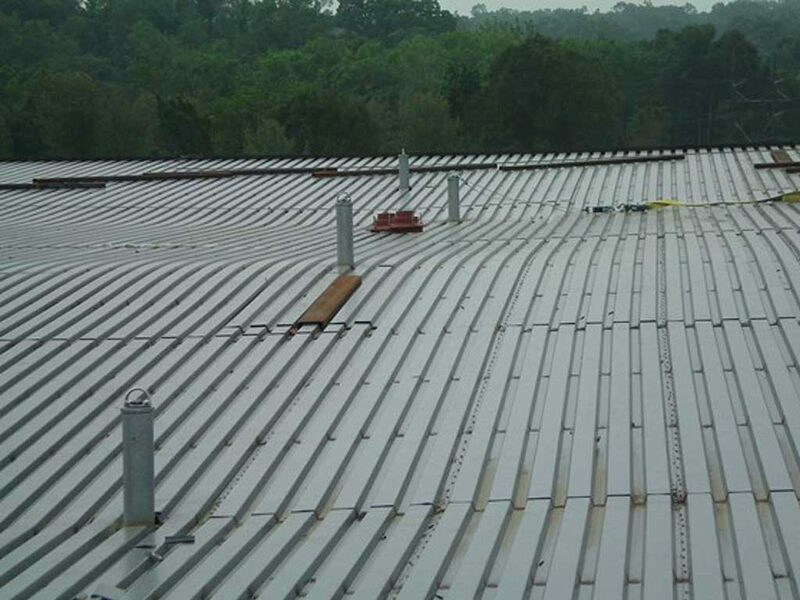 Architectural and Engineering Service — FLS takes the pain out of system design by doing all the layout and specification for you. 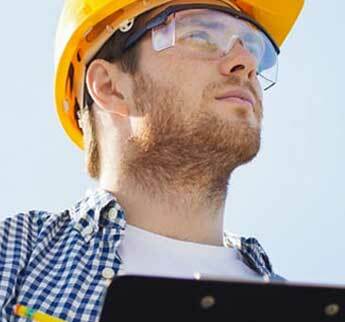 Let us assist you with drawings, documentation and specifications for new-build or retrofit systems. 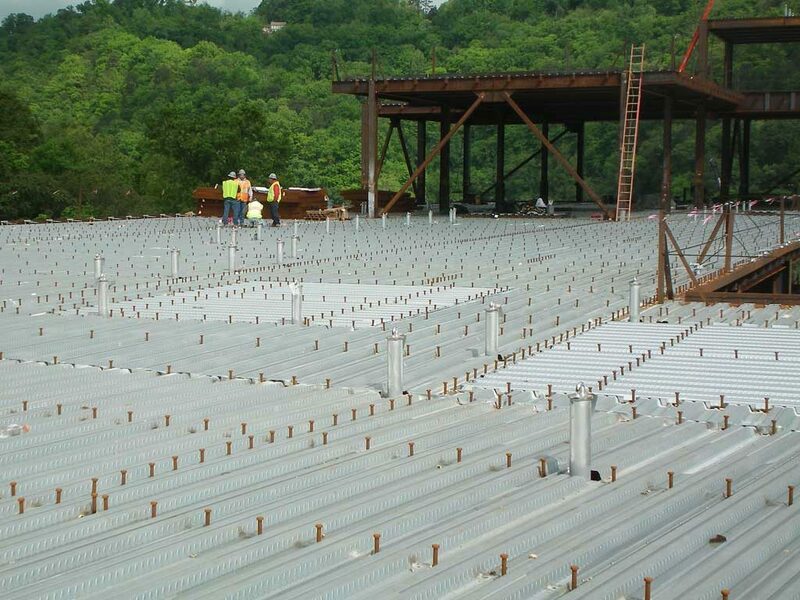 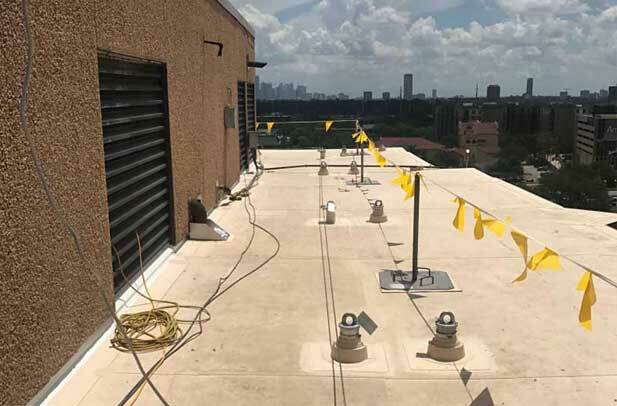 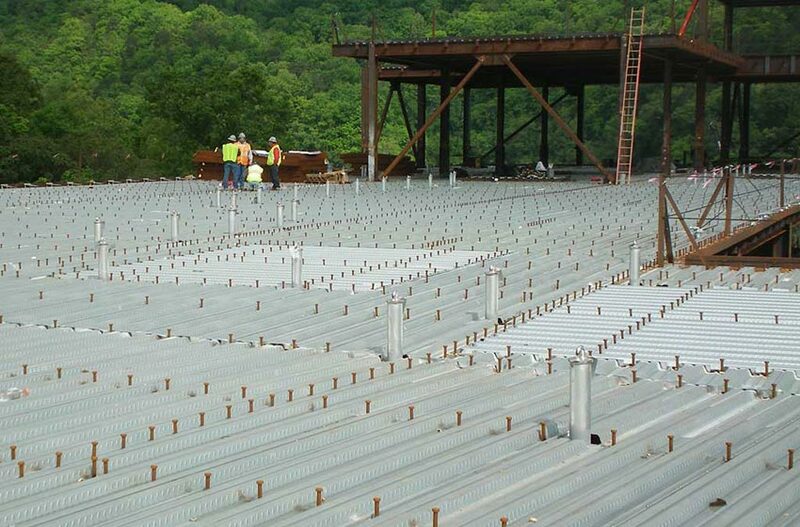 Turnkey Design and Installation — We’re a one-stop shop offering consultation, engineering, design, installation, inspection and certification of rooftop tieback anchors. 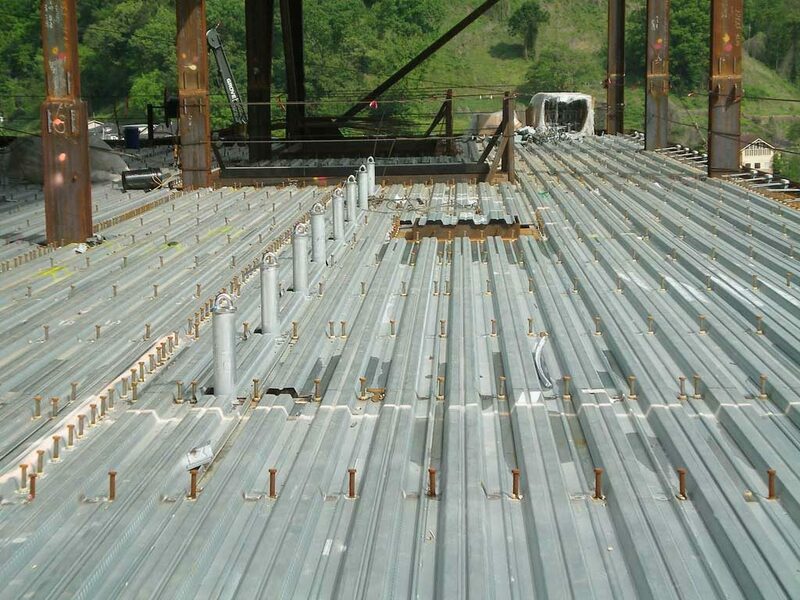 The report and certification shall be included in the logbook. 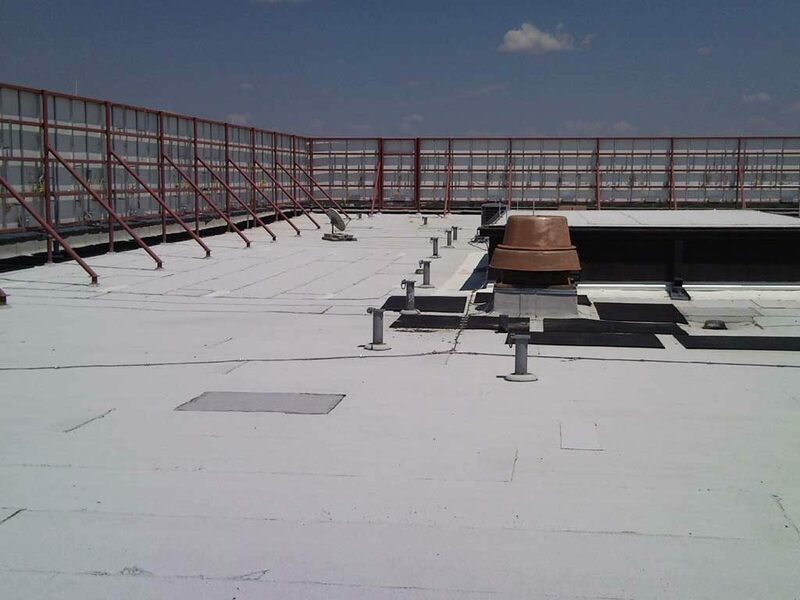 Regulatory authorities require anchors to be inspected annually by a qualified person with the inspection date, name of the inspector, his signature and company plus any comments recorded in the building facade maintenance equipment log book. 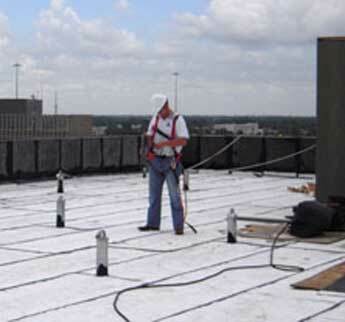 The re-certification shall be under the direct supervision of a registered professional engineer. 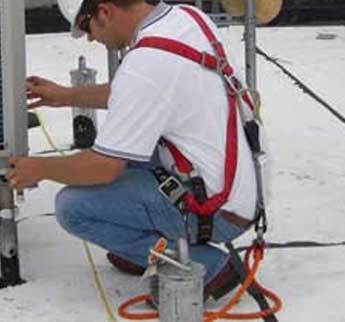 Our tieback anchors conform to all U.S. standards, state labor and safety codes and materials standards relating to anchor fabrication, window cleaning and other suspended maintenance operations. 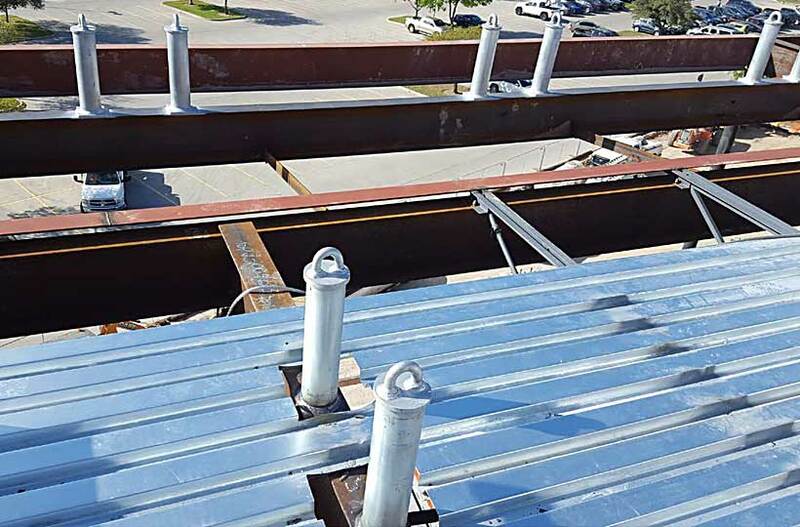 Conformance includes ASME, ASME A 120.1, IWCA I 14.1, OSHA 1910.66, CALOSHA, AISC, AWS, and other references. 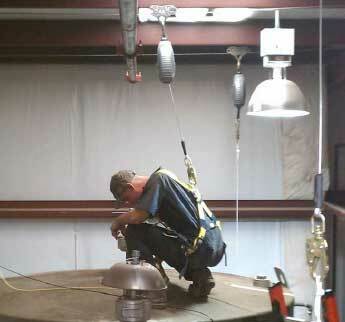 Select below for more information about specific tieback anchors safety solutions. 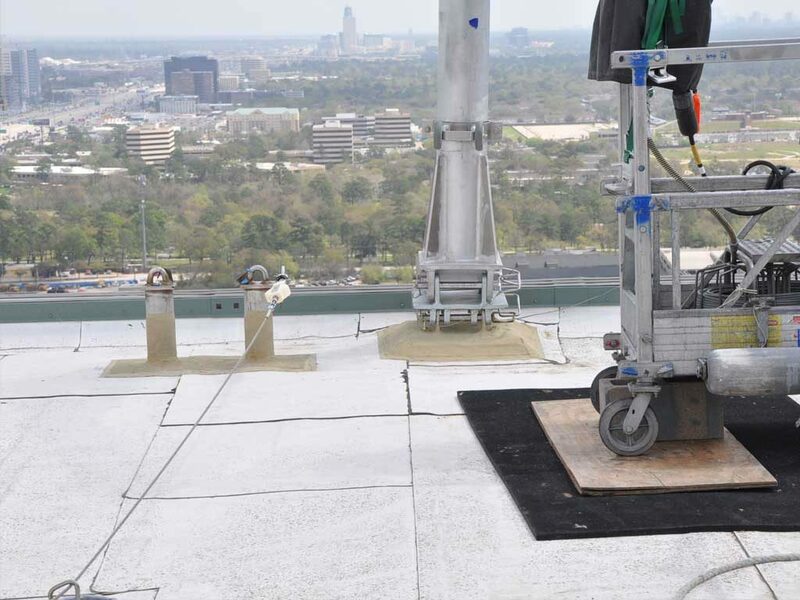 Cost effective and proven, through-bolt tieback anchors are used for fall protection and a wide range of suspended access applications, including window cleaning and exterior building maintenance. 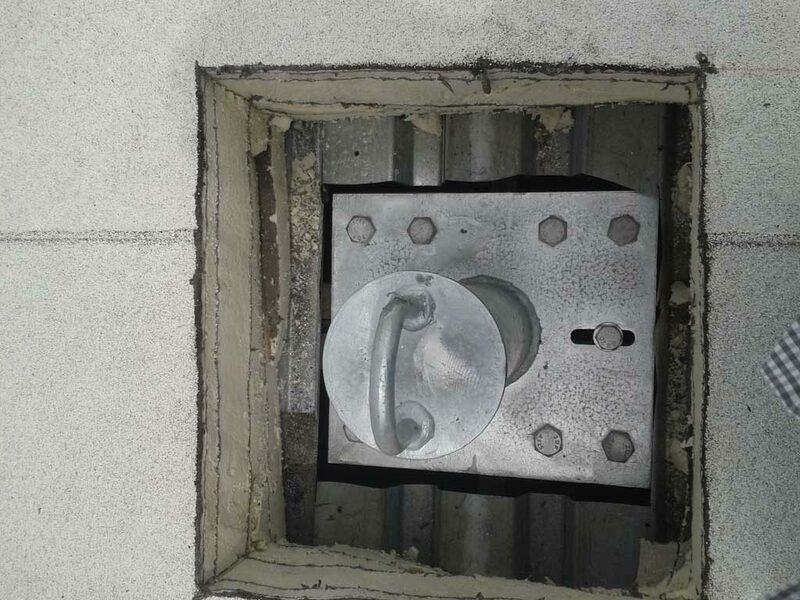 FLS Bolt-Around-Beam Tieback Anchors are a safe, practical and permanent anchorage solution. 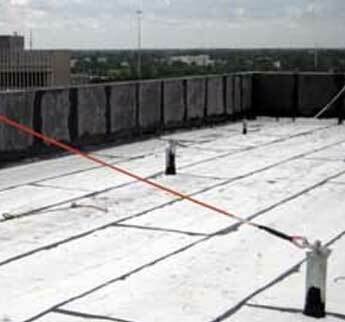 FLS Chemical Adhesive Tieback Anchors are a safe, practical and permanent anchorage solution. 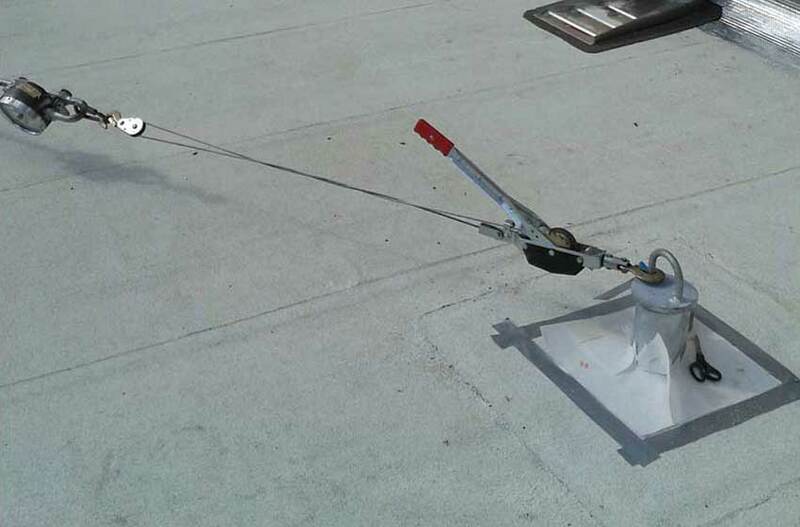 FLS Welded Tieback Anchors are a safe, practical and permanent anchorage solution. 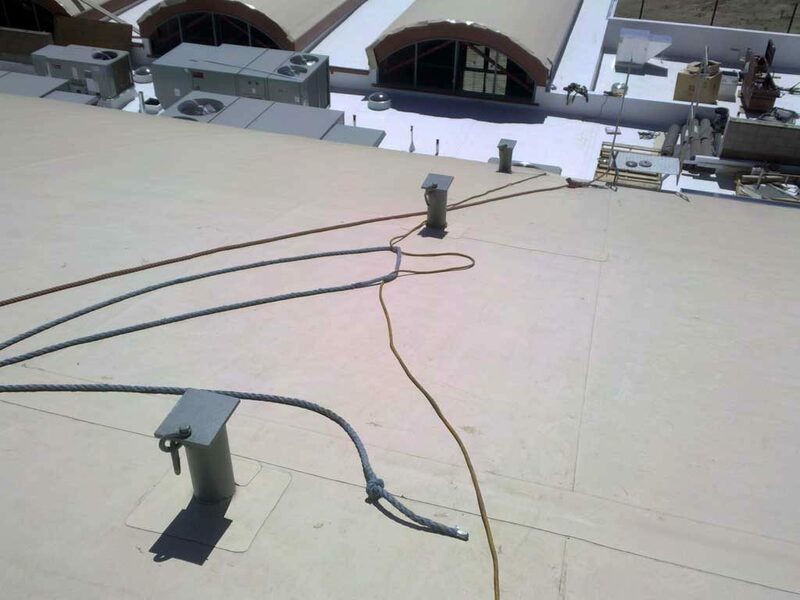 FLS Embedded Tieback Anchors are a safe, practical and permanent anchorage solution. 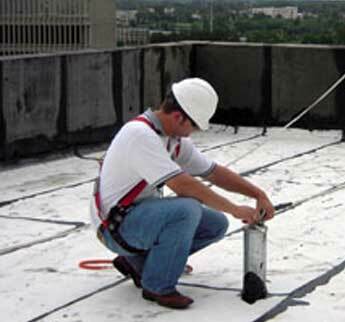 Select below for more information about specific building maintenance safety solutions.